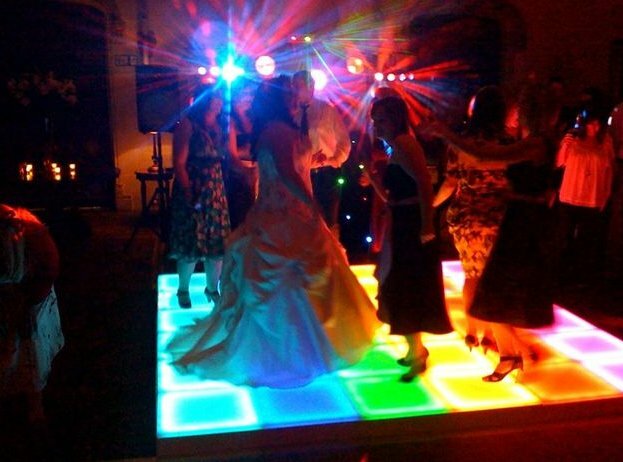 Welcome to the Dance Floor Hire Hampshire Covering the whole of Hampshire and beyond. 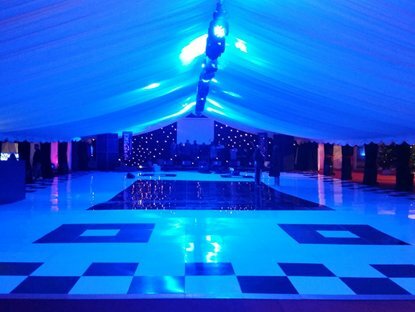 Here at dancefloor hire Hampshire we are proud to supply not only the best standard of dancefloor in the industry but also the largest stock of wireless LED products. 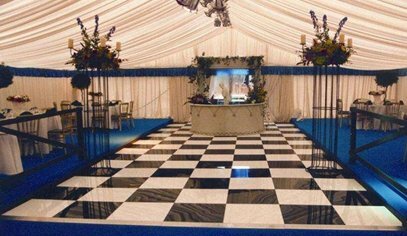 With our huge amount of stock in floor it allows us to provide our clients with the floor that they require even at short notice. 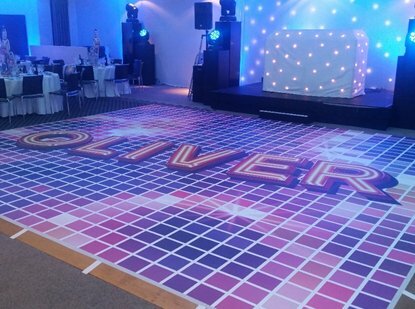 Our Colour commander floor is an amazing addition to any event, this floor can be used to display low resolution images and even scroll names and words. 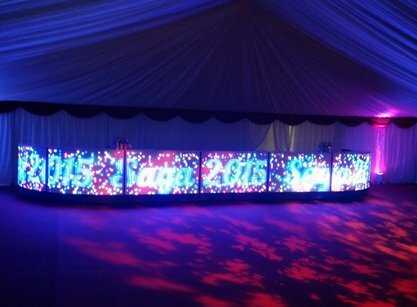 Perfect for displaying Mr and Mrs... for wedding days or even to display company logos for product launches. 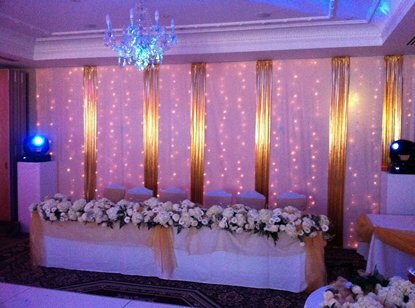 Team this up with our Colour commander bars for the ultimate WOW factor!!! 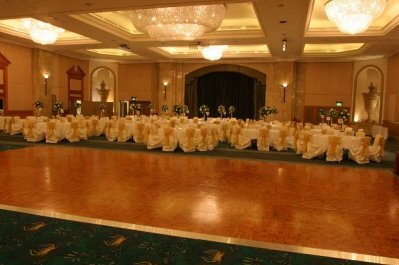 We are proud to have a very close working relationship with our floor manufacturer allowing us to stay at the for-front of any technological advances. 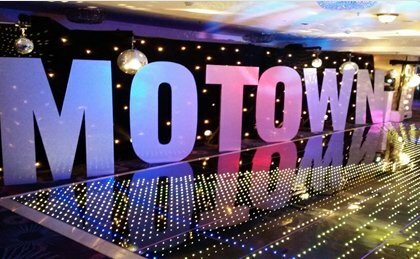 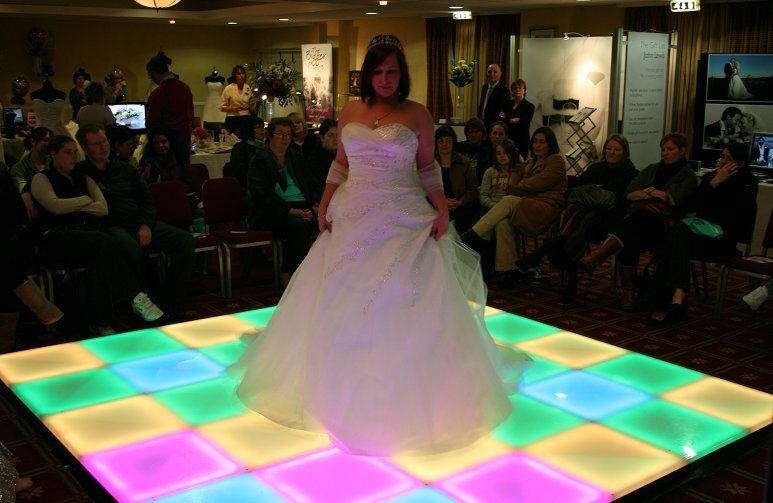 LED floors are perfect for any function and extremely popular with many large event organisers. 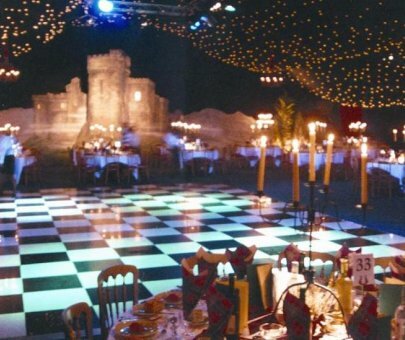 These floors are very popular, perfect for a limited budget and can transform any room for your event. 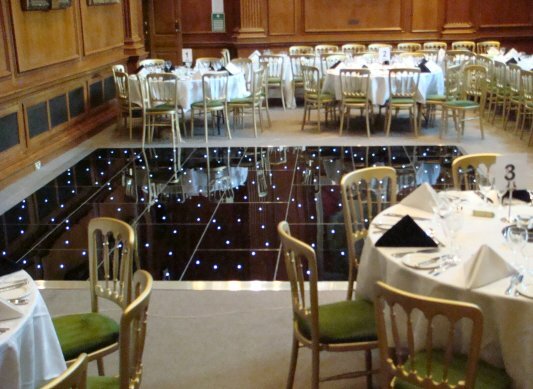 We now use this floor instead of the wooden oak parquet. 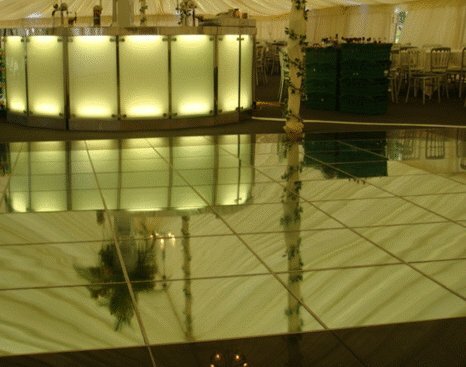 This floor is completely weatherproof so can be used inside and out! 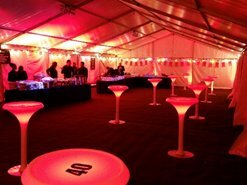 Perfect for marquee and garden parties. 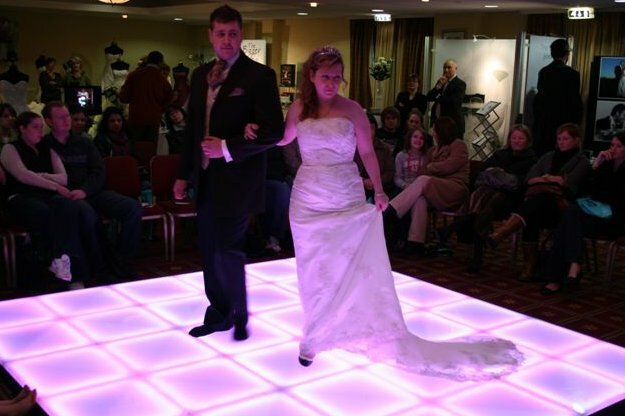 If you can't see the floor that is perfect for you, please get in contact with our office to see how we can give you the floor of your dreams. 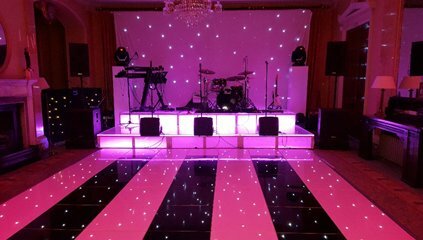 Not only do we specialise in industry leading dancefloors but we can also provide you with anything that you need for your big day. 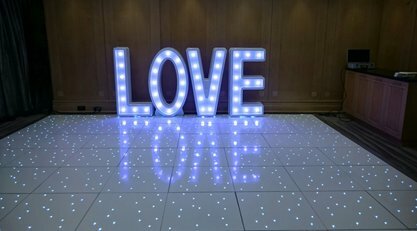 Our LED love letters look perfect along the edge of the dancefloor or stunning pinch pleated back drops create the perfect background for stunning photos. 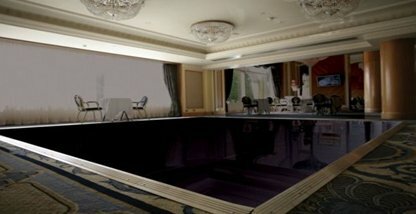 Are you in a venue that doesn't have its own bar in the room? 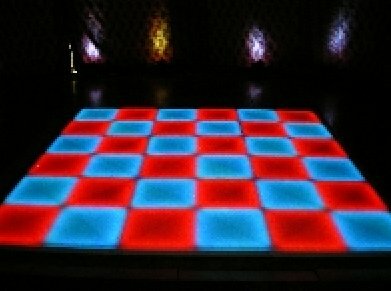 Why not add one? 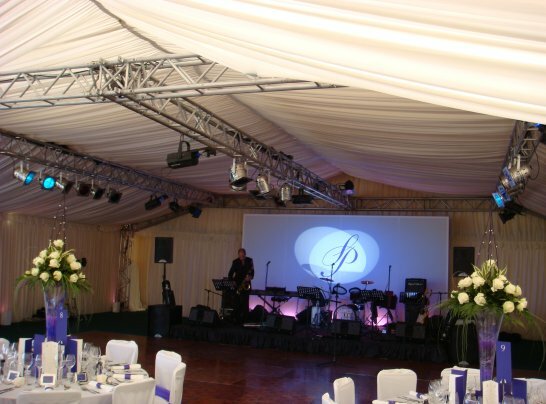 Visit our main site Corporate Events UK Ltd by clicking here for further information, or contact us by calling 08712 88 44 60.